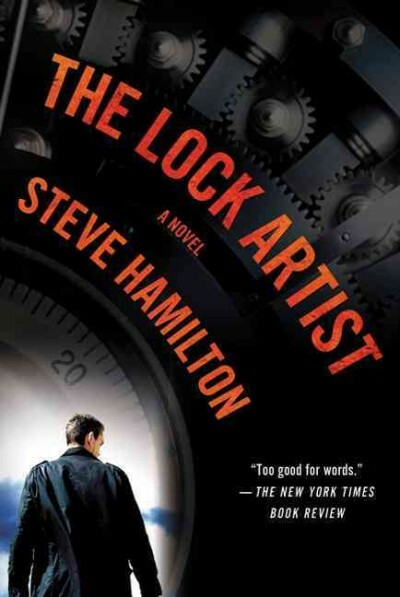 The Lock Artist by Steve Hamilton is one of those stories that pulls you along gently and then delivers a total kick to the gut, leaving you gasping for breath and wondering how you never saw it coming. Our protagonist, Michael, has a most unusual talent: he can pick any lock, open any safe, unlock anything locked. It is a talent which, at 18, draws Michael inevitably into the criminal world. However, lock picking is not the only unusual thing about Michael. He hasn’t spoken a word in 10 years, traumatized by some horrific event that Hamilton dangles just out of the reader’s reach throughout the story. We follow Michael from his uncle’s garage, through a meeting with the one girl who just might save his life, through a botched robbery that leaves him imprisoned, until we finally arrive at that gut-kicking moment, when Hamilton reveals what caused Michael to go silent and influenced his peculiar talent. Tightly plotted and beautifully written, The Lock Artist deservedly won the Edgar Award for 2010 and truly is one of the best of the year. Highly recommended. The Little Stranger by Sarah Waters – a truly terrifying ghost story set in England after WWII which once again proves that flesh and bone human beings are often more frightening than the ghosts that haunt our dreams. Dead of Winter by Rennie Airth – the third installment in the John Madden series. Just as evocative and well-written as the first two, this made me wish again to see Airth’s work on film.